I spent this past weekend being an academic. 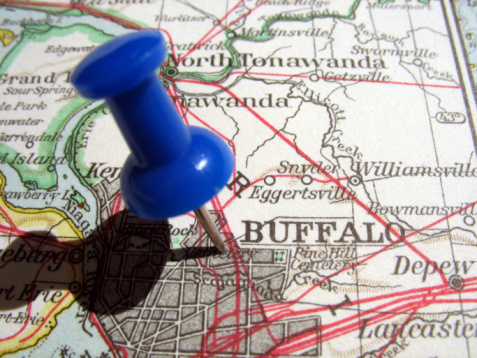 While I’ve presented at plenty of writers conferences, this past weekend I gave a paper (oooo, that sounds so academic) at the SUNY Council on Writing held in Buffalo, New York. At the conference, I heard professors share teaching strategies to help their students engage better in a research paper and how to navigate different rhetorical situations required by different pieces of writing. One professor described working with students from one semester to the next to improve in areas where they need improvement. Another spoke during lunch about how he encourages his students to use all the technological resources at their disposal so that a paper is no longer just a Microsoft Word document but something full of visuals and hyperlinks. The world is indeed changing, but some things are still the same. That final product needs to be clean, perfect, polished. My presentation was about the value of proofreading (big surprise). After decades in publishing, it’s been difficult for me to let go of the “perfection” level and understand that students need to be given freedom during the writing process. Two particular researchers in the field (for anyone who cares, it’s David Bartholomae in “Inventing the University” and Mike Rose in “The Language of Exclusion: Writing Instruction at the University”) helped me get my head around how to help writers and yet deal with my own requirement of final polish on papers. They explain that students new to academia are learning to write in a whole new way. They have to try on the language of academia. They have to take on the role of “authority” in their papers even though they’re writing to profs who are authorities. They have to think critically and not reach for the easy answer. They have to put together a coherent paper. And I would add that after writing it, they need to revise, copyedit, and proofread. That’s a lot to ask. In a publishing house, different people do all those roles. And we’re asking students to do it all. Other research has shown that if students try to revise as they write, they end up bogging down in their own process, getting frustrated, and producing something maybe with fewer sentence-level errors but way less coherent. And indeed it is. But it depends on what part of the process students are in and the rhetorical situation. I’ve learned that in initial drafts, I should work with students on the big picture. Let them get their thoughts together. Let the paper be full of comma errors and run-on sentences because this is still in process. I should know this, for that’s just what an editor in a publishing house does. The big picture is what matters at that point. From there, students can be helped to copyedit and then to proofread. I have for too long jumped right in with my red pen which focuses on the wrong thing too early. In reality, a student may have a lot of errors but also the beginnings of a well-reasoned argument or an amazing creative story. How much better to offer encouragement and queries at that level and leave the rest for later in the process. Yet we still owe it to students to help them understand how to polish their papers. After all that work, we should help them deliver a piece that is indeed free of glaring errors (and that was the point of my presentation at the conference). And in a rhetorical situation like a resume or cover letter (which my Writing for Business students are doing this week), they have to understand how to create something that is indeed error free. So what that means for us writers is that, during the process of writing, we need to just write. Get it down. Write as fast as we need to in order to keep up with our characters or our thoughts. Don’t stop to revise, at least not until the day’s writing is finished. Don’t get bogged down in the details during that first creative part of the process. If you’re on a deadline, be sure to schedule in time for revision so you don’t feel rushed. Gone are the days of pulling all-nighters and turning in our assignment–our reputations are on the line, maybe even a paycheck. To do it well, we need the time to revise and proofread (or have others help us–who also need to have time). But when we don’t get bogged down in the creative part of the process, we’ll feel much better about that final product. Great post. I also have to restrain myself from revising when I’m in the midst of a discovery draft. In my grad program, however, I had to learn to revise and polish a manuscript every time I turned in my assignments to my advisor (which was every month). As you mentioned, learning how to proofread is very important. Yes, publishers have proofreaders and copyeditors. However, agents and publishers pay attention to errors in manuscripts and letters. No matter how good a manuscript might be, an agent might not overlook the fact that you misspelled his or her name.